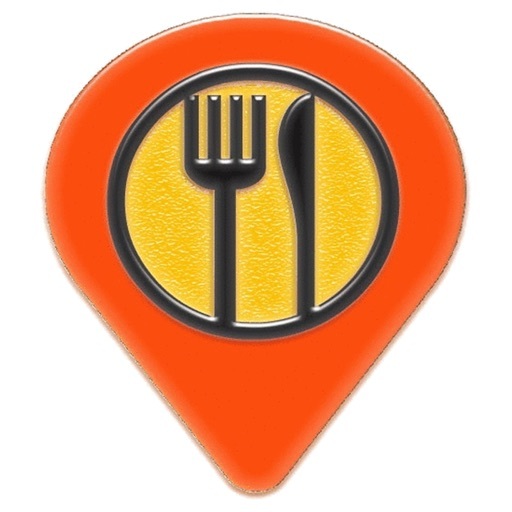 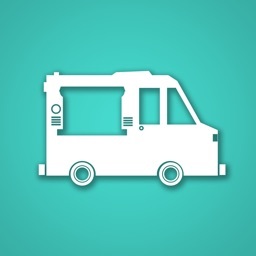 Mobile Nom - Food Truck Finder by Worlan Software L.L.C. 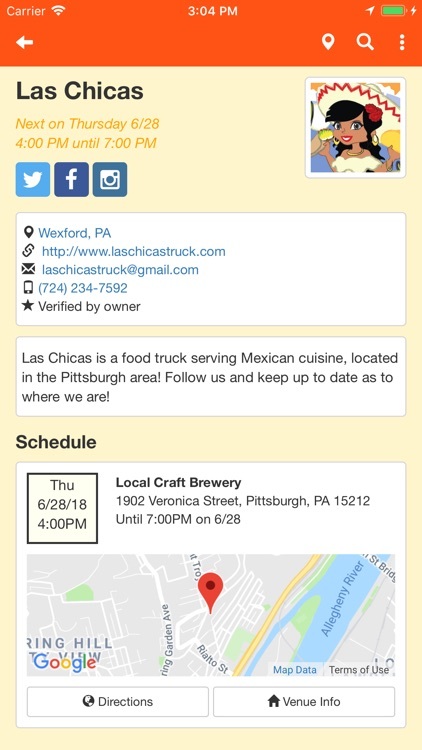 Food trucks can show off their menus, easily share their current locations to their social media accounts, and much more. 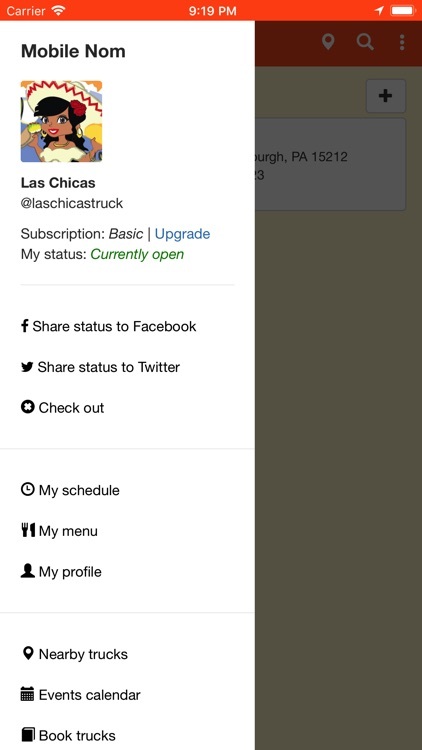 You'll save time promoting your truck, and more effectively reach your customers than ever before. 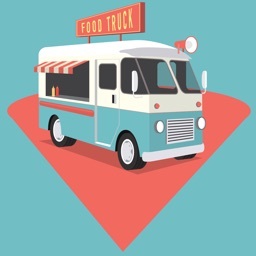 Got an event that involves food trucks? 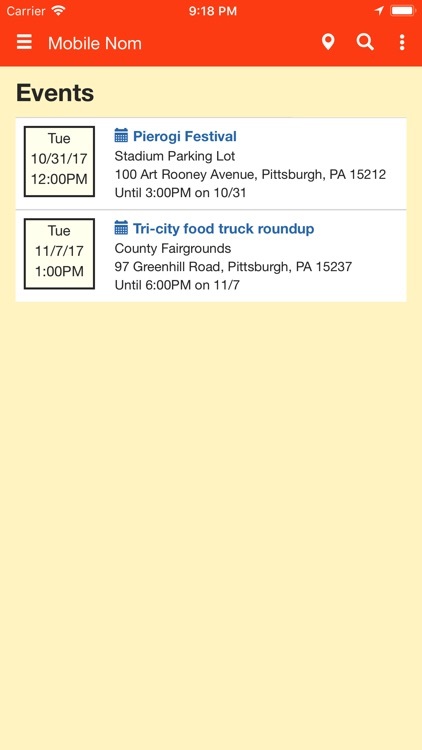 Mobile Nom has you covered with our events calendar. 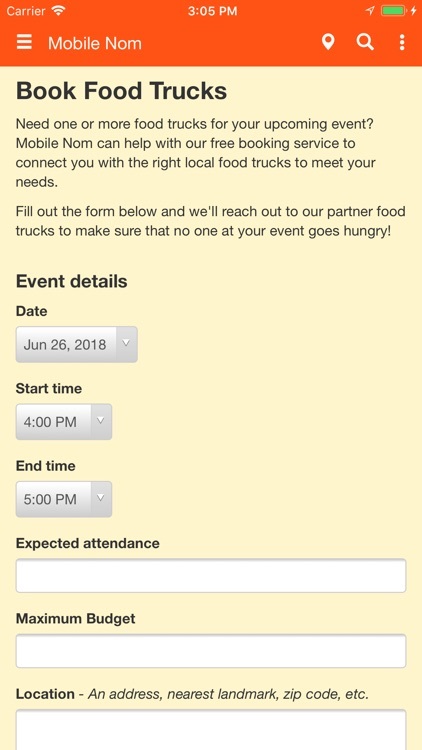 And with Mobile Nom's free promotional tools, you'll be sure to see an increase in your event's attendance. 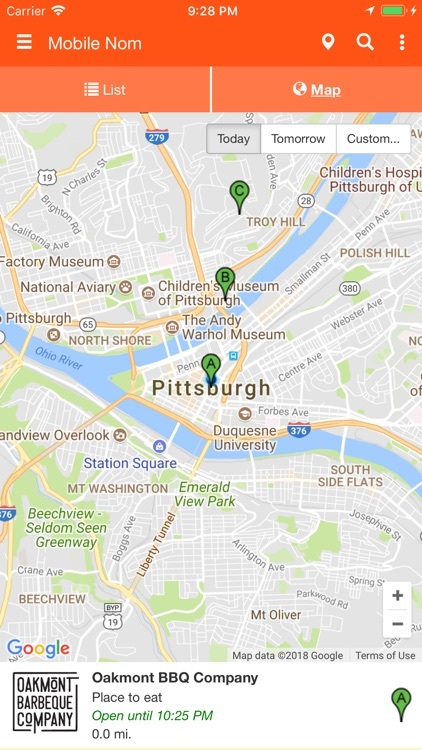 We support every city in the country, but some more than others. 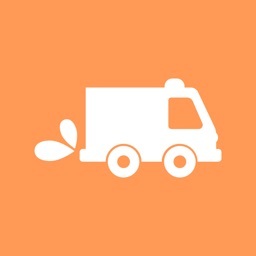 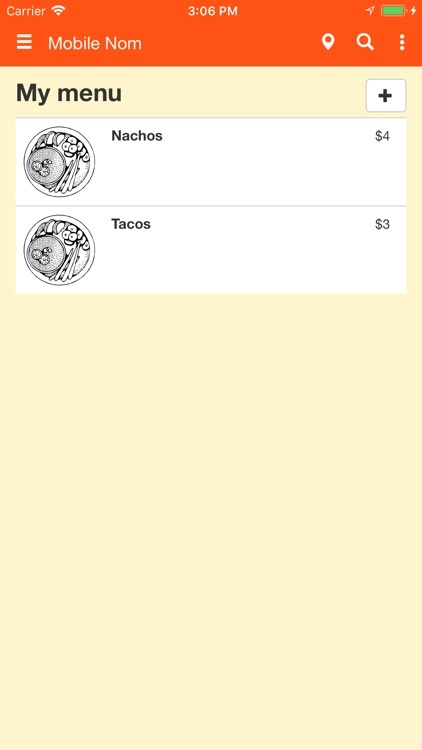 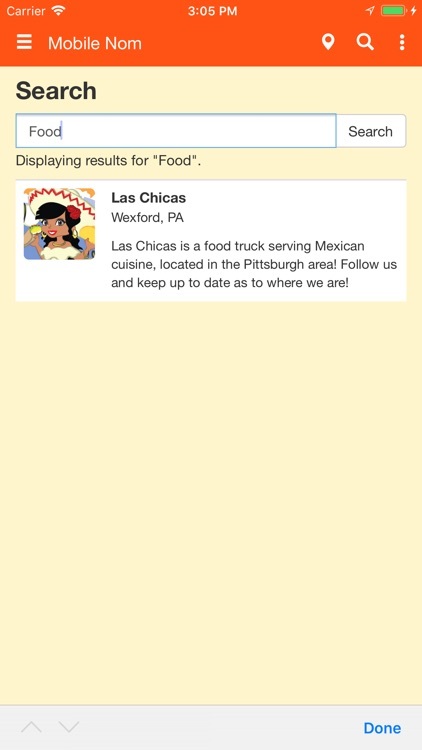 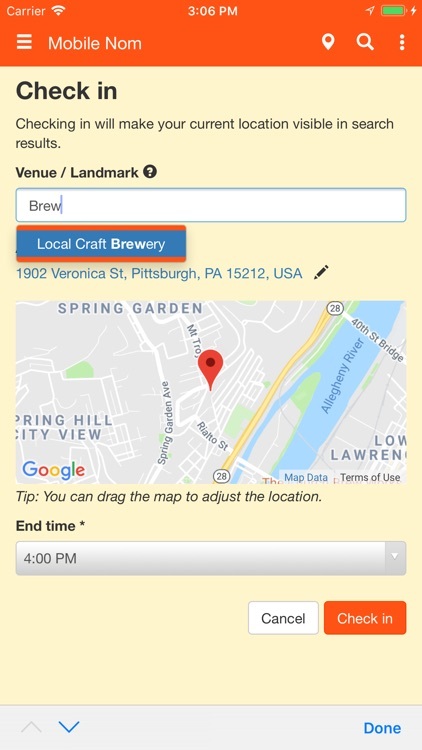 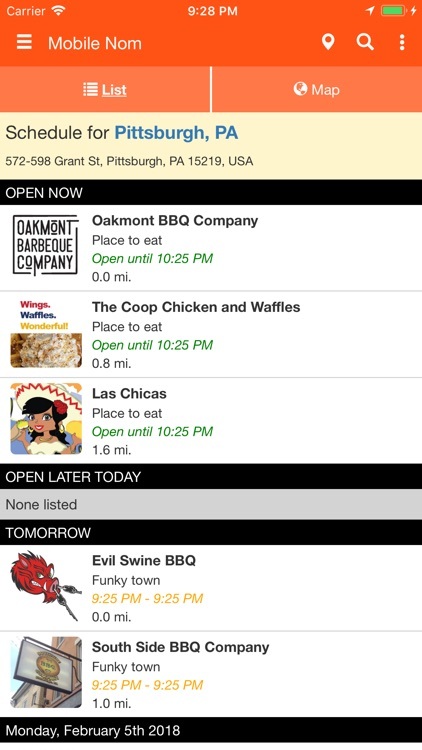 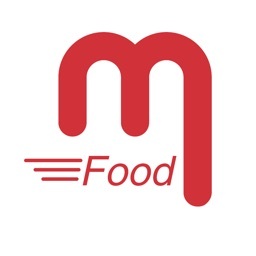 Don't see your favorite food trucks in our app? 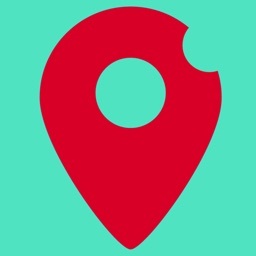 Tell them to register for free at https://www.mobilenom.com/signup. 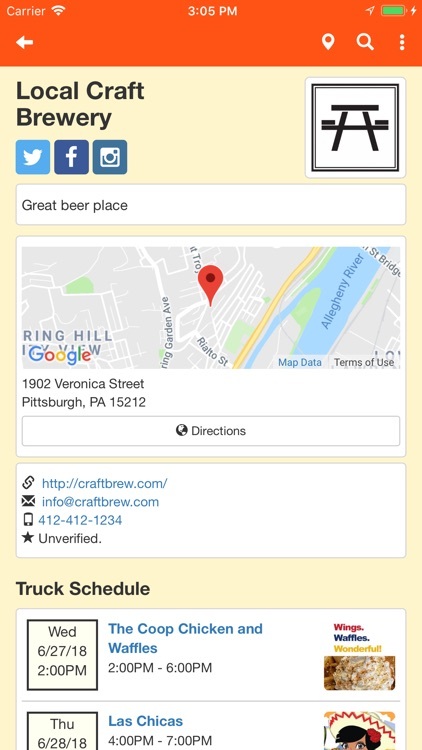 It's free to sign up and free to use.